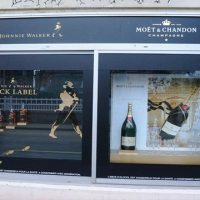 Located in the heart of Normandy, at only 2 hours from Paris, place of elegance and art de vivre, Deauville is the stage of the American Film Festival. 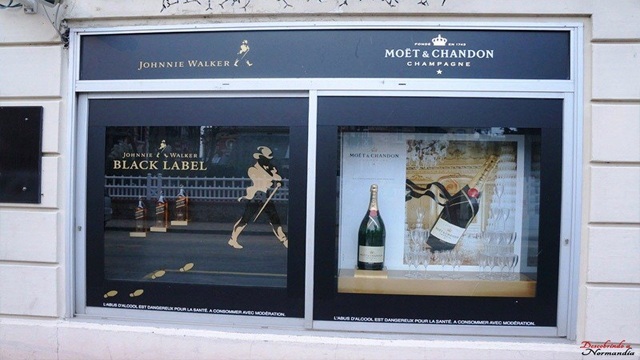 The city got its renown from its palaces, casinos and large houses, some of which are Belle Époque. It was there that Coco Chanel opened its first store in 1913 at the Hôtel Normandy, imposing a revolutionary style for the time. Honfleur is famous for its port, Le Vieux Bassin, and for its picturesque houses with slate roof. The city, consisting of small streets and houses with typically Norman charm, is pleasant to visit in any season. 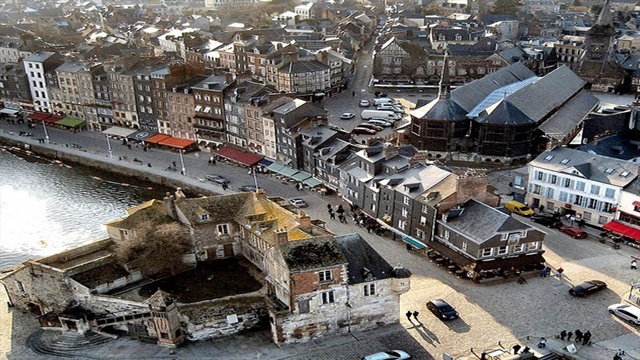 One of the most romantic cities in France, Honfleur was the starting point of several French navigators. The city was entirely preserved from the disasters of the Second War. Walking through the city you will be enchanted by the beautiful gardens, the various galleries and the charming alleyways that house stone and wooden houses. (formerly Honna Flow, then Honnefleu, name of Scandinavian origin) is a city that documents mention from the eleventh century, where it then appears among the important cities of the Duchy of Normandy. As the etymology of its name indicates, the development of Honfleur and the port coincides with the Scandinavian invasions and the installation of the Normans (vikings) of century IX in the bay of Seine. Its privileged geographical situation, port estuary and port offers many benefits and determines its double vocation for the coming centuries: the defense of the royal river and the departure of the great adventures in the ocean. The great military period of Honfleur opens, in Century XIV, with War of the Hundred Years, during which it plays a predominant paper. Due to the city’s strategic position and its weak defenses, King Charles V decided to make it a defensive bastion against the English invaders: he did great fortification works. The fortress then plays a defensive role of Normandy at the entrance to the Seine, opposite that of Harfleur. During this period, the port served as a starting point for several military expeditions to England. The religious wars of the following centuries will mark the city, but will not prevent the development of Honfleur as commercial port and port of departure for great expeditions. 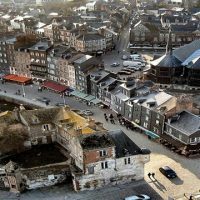 At the end of the Hundred Years War, the city relieved of its ruins, the glorious maritime history of Honfleur can begin. In the sixteenth and seventeenth centuries, Honfleur actively participated voyages of discovery, including the famous expedition of Samuel de Champlain in 1608, which culminated in the founding of Quebec. It was in the seventeenth century that the fortifications were dismantled. Colbert’s warrant is built a basin à (current Vieux Bassin) as well as salt barns. In the seventeenth and eighteenth centuries, the port intensified its commercial activity to Canada, the West Indies, the African coasts and the Azores. It is a very active center of pilots, ship owners, merchants and even privateers. Among them, Pierre Berthelot, “major pilot and cosmographer of the King of Portugal”, became a monk under the name “Denis of the Nativity” and Jean-François Doublet, “royal officer” privateer and companion to Dunkirk Jean Bart. The painters, particularly sensitive to the light of the estuary, walk to Honfleur in the late eighteenth century. But it is in the early nineteenth century that they arrive more numerous, following in the footsteps of English watercolor artists and talented landscapists. From 1810 to 1820, they discovered in Honfleur a romantic panorama consisting of the two hills that surround the medieval city. This is the beginning of outdoor painting and therefore of natural light. Honfleur then became an exceptional artistic center: Eugene Boudin, whose influence was decisive in the Impressionist movement, gathered around him many artist friends, including Jongkind, Monet and the poet Charles Baudelaire. Today there are still many painters riding their easels on the edge of the Vieux Bassin, seeking to express a new vision of Lieutenance (the last remnant of the fortification of the city) and the houses of Quai Sainte Catherine. A large number of art galleries and artist studios also testify to Honfleur’s natural attachment to pictorial art. At 1000 years old but incredibly well preserved, having escaped the damage of World War II, Honfleur still has the same fascination with the more than 3 million visitors who discover it every year. 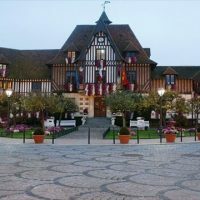 Since 1850, Deauville, Normandy, continues to develop, offering new accommodations and new leisure, to the point of overshadowing its neighbor Trouville. Deauville likes to present himself as the 21st arrondissement of Paris. 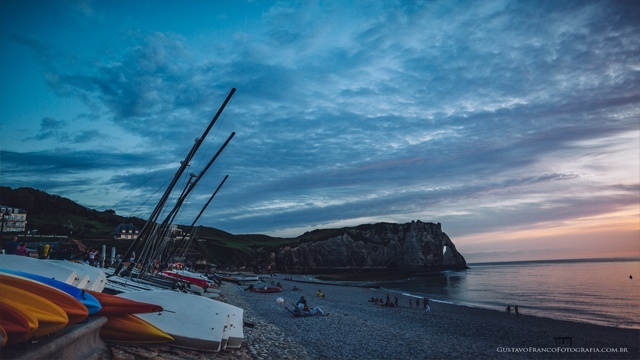 Even before 1900, the seaside resort attracted Parisians who came to Normandy to spend some time at sea. The origin of the name probably comes from the small village called Auvilla in the 12th century. In 1825, when the village takes the name of Dosville, it has only 113 inhabitants. They are grouped on Mount Canisy around a small church in the present town of Bénerville. Below, there are only marshes where the peasants graze cows and sheep. The history of modern Deauville begins in 1858. The Duke of Morny, being incidentally the half-brother of Napoleon III, spends some days in Trouville. He came at the invitation of his doctor, Dr. Oliffe, who lives there. The latter also manages the casino of this new resort in full activity. The small fishing port on the other side of the small Touque River, which separates the two territories, has in fact turned into a resort in a few years where it is fashionable to be seen and gently tiptoe into the sea, but the city’s success creates resentments and envy. Contemplating the deserts and swamps of the beach on the other side of the Touques, the Duke de Morny designs the project to create, from scratch, a seaside resort competing with casinos, luxury villas and hotels. It will be in your mind “the realm of elegance,” built to surpass your older sister. The project was launched with Dr. Oliffe Donon banker who runs the Ottoman Bank and collect the funds, and the Parisian architect Breney inspired by Baron Haussmann to create wide avenues and become the first mayor of Deauville. In 1860, they bought the marshes in the commune for 800,000 gold francs on behalf of the real estate company they incorporated. 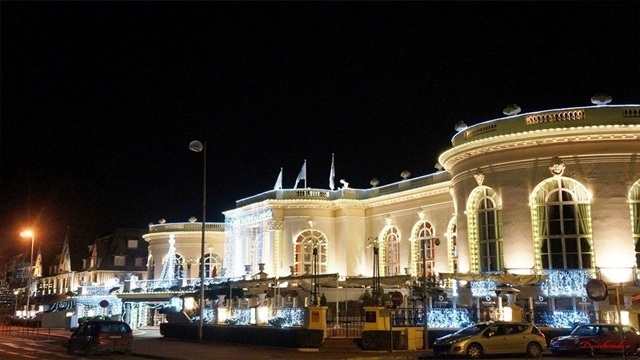 Deauville will be set up ex nihilo in four years, like a gigantic amusement park that still looks today with its facades and perfectly manicured streets. Everything runs very fast: in 1863, the train connects Paris to Deauville in a few hours. In 1864, the Duke of Morny, who is president of the Jockey Club and created the Longchamp Racecourse, launched the new racetrack. Thanks to their relationship, All Paris runs in last place in fashion. In the 1900s, the mayors of Deauville Désiré Le Hoc, and then Eugene Cornucé, decided to continue modernizing the city, providing it with all the necessary leisure and equipment. A new casino is created. Two palaces were built to welcome the most fortunate clients: the Normandy Hotel in 1912, then the Royal Hotel the following year. in 1931, the airport of Deauville-Saint Gatien is opened. During World War II, the two Palaces, Normandy and Real, were requisitioned by the German army staff. The city is liberated by Belgian troops and the resort regains its rights. 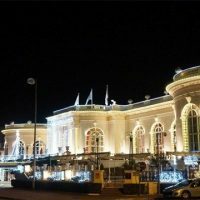 While the palaces of Trouville will close their doors one after another, the Royal and Normandy will find their customers. New accounts are being set up. Lucien Barrière succeeded his uncle in the direction of the casino, his group then becoming owner of both palaces. Michel d’Ornano, for the UMP at the time, will for a long time be the mayor of the city, then led by his wife until 2001. The policy of building new equipment is resumed: the Olympic sea-water swimming pool heated in 1966. The new Port Deauville is created with a dedicated pool and a marina. A Congress Center, CIC, leaves the paper in 1992. At the same time, a cultural policy is being deployed to remain at the forefront of the media landscape and attract international clientele. What includes the Normandy Cities Private Tour? 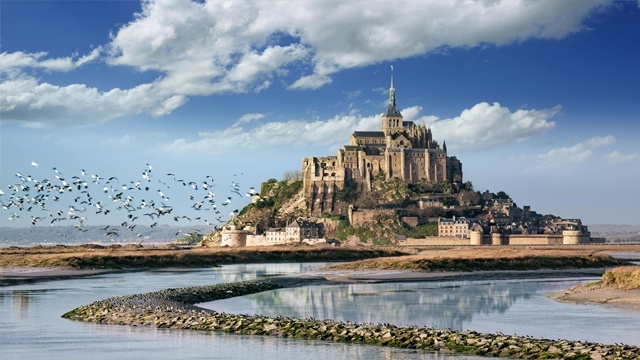 I would like to congrat the tour proposed by the company "My Normandy Tour". Few weeks ago, I entered in contact with them for visiting the interior of France. I relied on Pierre's suggestion and my group and I loved the tour. The guide was very polite and kind, always caring about our comfort and whether we were enjoying it. We found Pierre's agency on the internet and asked him to pick us up in Paris for a tour to Normandy. He arrived at the appointed time and followed the whole plan we had set for the day. Very nice tour, unfortunately the restaurant we chose did not meet our expectations, however the towns of Honfleur and Deauville were spotless. Very beautiful places and well worth the visit. Great service and we will definitely return to see other places in the beautiful Normandy region. 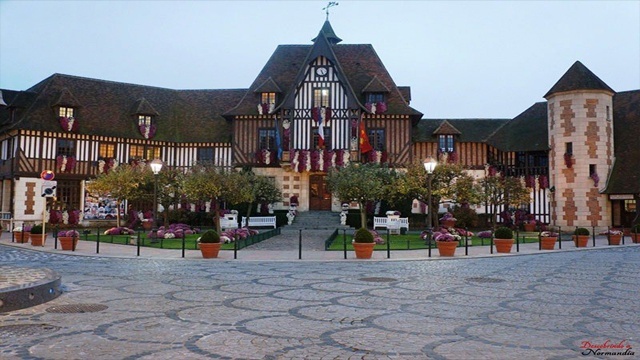 During a 3-day itinerary in Normandy, Pierre took us to this city of Deauville. Wow ... it was a shock. We bet in the casino for 3 hours (we lost of course), then we went to a famous place called "Les Planches". We even managed to see a horse race at the racecourse. All very pleasant. I believe that I will return next year and intend to stay in this city. I hope that Pierre can help me and take me to visit other monuments and cities of Normandy. (the Cheese Factory is a must see too).